Bringing just a little bit of extra spice to the already totally awesome, if completely flawed, Alfa Romeo 4C Spider is the new Italia package, is effectively a bespoke paint color, yellow calipers, and some extra badges. This is Alfa Romeo’s big move for the Chicago Auto Show this week, showing what will likely be a send-off model to an aging low-volume sports car. If you love this shade, and I do, you’ll have to get your order in quickly, because only 15 of these buggers are coming to the U.S. market. With a total worldwide production target of 108 units, this is going to be an extremely rare bird, no matter which market you reside. The Italia package adds an extra $5,000 on top of the Spider’s already hefty $66,900 price tag (plus $1595 delivery), making for one extravagant arachnid. 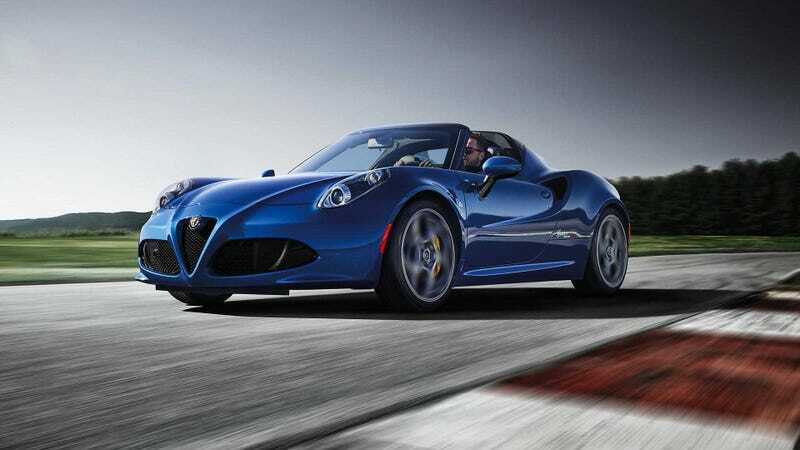 The 4C coupe is already dead in the U.S. market, and the Spider carries on for the 2020 model year, but nothing is promised beyond that. This could be the final edition that we ever see. If you want one, you’d better call your local Alfa dealer molto veloce.